“We learned (from Roma) that things happen, even if it seemed unimaginable that they will. We learned that you cannot let an opponent back into a tie if they are not killed off. “Of course when you get Barcelona, with the quality of their team, we know we need to step up our game,” said Solskjaer. “We know we need to perform to our best levels, which we didn’t against PSG at home. 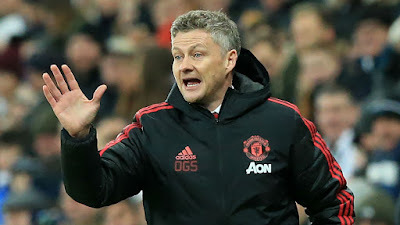 The outcome of the second leg against PSG has given the players and supporters belief that the same is possible against Barcelona.” Solskjaer is hopeful that Marcus Rashford and Nemanja Matic will be fit despite failing to take a full part in training on Tuesday.